Kitchens Bayswater, Melbourne - Kitchen Renovations, Designs and Installations. The Kitchen Renovation Specialist- New Kitchens and Kitchen Facelifts. Thinking of renovating your kitchen? It may be easier than you think! Facelifts For Kitchens specialise in revitalising and updating kitchens with a comprehensive renovation. This is often a good option if the basic layout is functional and the existing cabinetry is structurally sound. Benchtops, splashbacks, cupboard doors and appliances can be replaced, giving the effect of a new kitchen at a significantly reduced cost. Existing cabinetry can be modified and extra storage and other features added as required. 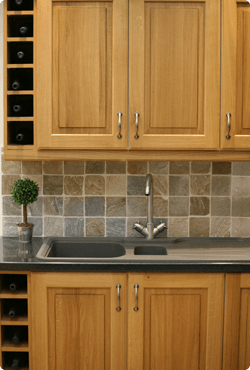 Facelifts For Kitchens are also experts in the design, construction and installation of new kitchens, bathroom vanities, laundry cabinets and wardrobes. Our consultants will assist you in determining whether a new kitchen or a facelift is most suitable for you. Over the past 20 years we have updated or replaced thousands of kitchens in Melbourne and surrounding areas. If service and quality are important to you then look no further than 'Facelifts for Kitchens'. Contact Us to discuss your best option for an attractive and functional kitchen that will enhance your home. PLEASE NOTE THAT THE SHOWROOM WILL BE OPEN ON SATURDAY 13TH, 20TH & 27TH JANUARY ONLY DURING THIS PERIOD. NORMAL OPERATION BEGINS 29TH JANUARY.